I’m Not Ashamed: The Rachel Joy Scott Story – On April 20th, 1999 at Columbine High School, two teenage boys entered their high school with guns and homemade bombs planning to kill hundreds of their classmates. They would murder 12 students and 1 teacher before turning their guns on themselves. I’m Not Ashamed is Rachel’s story from her own words. Drawn directly from her writings, we discover the hope in this tragedy. We find the story of a student who showed radical compassion to the hurting and unnoticed. It’s the true story of a girl who was not ashamed to share her love for Jesus to those around her, even to her killers. Ben-Hur – First to finish. Last to die. – A falsely accused nobleman survives years of slavery to take vengeance on his best friend who betrayed him. The Lamb to Life – Living at the time of Christ a young Jewish family has to deal with the tragic loss of their eldest son. After the death of his 13-year old brother young Joel becomes an orphan in his own house when his father renounces God and abandons his family. Parallel to the lives of the family, the story of Jesus Christ unfolds and eventually intersects with theirs at the cross resulting in a moving reconciliation. The LAMB is a simple parable that reveals God’s heart for people in a powerful way that reaches the deepest part of the human soul. Remember The Goal is an inspirational sports drama about a girls cross country team. A new Coach takes over the girls cross country program at a private Christian school and sets a goal for them to win the state meet. As they begin to train for this, the top five runners each deal separately with a particular issue in life related to teens. As each of these stories unfold, so does the wisdom of the young Coach as she guides the girls along the pathway of life. The main issues presented in this movie apply to all athletes and all sports! It shares insight on 4 different life lessons for teens and 2 for parenting. The movie also presents a principle for coaches that could change the way they run their teams. When young Alison finds herself pregnant by a dead-beat boyfriend, she turns to abortion. There in the clinic, as she waits for her name to be called, she encounters a cast of extraordinary characters; a flamboyant counselor, a suburban mom, a heart-weary receptionist, an inner city counterpart… And more than anyone, a gentle-faced janitor with mop “eternally” in hand. Even under 94 feet of rock you can still see the light. An industry that has sustained a town for over 100 years, announces that it is closing it’s doors. A family that has been the cornerstone of the community. has given up. The only thing that can save the dying little town… IS AN UNSPEAKABLE TRAGEDY. From Chip Rossetti, the writer and director of FATHERS, THE ACCIDENTAL MISSIONARY and THE BORROWED CHRISTMAS, comes a faith based adventure into the HEART of a family, and the CORE of a mountain. 94 FEET. 18-year-old Red made some bad choices. He’s done his time, but he’s still paying the consequences. He’s finding that having a bad reputation and being in the wrong place at the wrong time are an unfortunate combination – even when you’re trying to do the right thing.Secretly selling stolen drugs in order to help his police officer mother pay the mortgage starts a bloodbath between rival dealers. Lives are lost, relationships destroyed, faith is questioned. And, Red is in the center of the spotlight. Can this gritty cautionary tale end with redemption? Perhaps. But, it comes with a price. Providence – Rachel and Mitchell both grow up in the small town of Providence. Their paths keep crossing and at one point it looks like they’ll finally get together. But the opportunity slips away and they go their separate ways. It takes a tragedy many years later before they’re reunited. This time will they let the moment pass or will they take a step of faith and trust God to work a miracle in their lives? A man advises a friend who’s on a similar journey as he was concerning loss and inheritance. A religious high-school basketball coach is fired after praying with one of his players, so he hires a non-religious, free-wheeling lawyer to try and get his job back. Based on the inspirational true story of Chris Williams, Just Let Go is the cinematic tale of how a person can forgive despite the retaliatory tendencies that surface within the darks corners of the human heart, showing the world that hope, love and forgiveness can overcome all when you let it go. “Miracles from Heaven” is based on the incredible true story of the Beam family. When Christy (Jennifer Garner) discovers her 10-year-old daughter Anna (Kylie Rogers) has a rare, incurable disease, she becomes a ferocious advocate for her daughter’s healing as she searches for a solution. After Anna has a freak accident, an extraordinary miracle unfolds in the wake of her dramatic rescue that leaves medical specialists mystified, her family restored and their community inspired. “Risen,” directed by Kevin Reynolds and starring Joseph Fiennes, is the story of the manhunt for the corpse of Jesus Christ. Spoiler alert: They don’t find it.Fiennes plays a Roman tribune named Clavius. He’s tasked by Pontius Pilate with crucifying the latest batch of Jewish rabble and self-proclaimed messiahs. The only catch? One of them really is the Messiah.Of course Clavius, a good Roman military man, doesn’t think anything of Jesus. When the centurion at Golgotha admits, “Surely this Man was the Son of God,” Clavius lets him have it. Clavius is tough, and he’s immune to Jewish superstition—that is, until Sunday morning. For Clavius, that’s when all Heaven breaks loose. 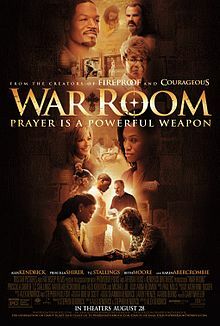 War Room is a 2015 American Christian drama film directed by Alex Kendrick and co-written and produced by Stephen Kendrick. War Room is the Kendrick brothers’ fifth film project and their first film project through Kendrick Brothers Productions. Provident Films, Affirm Films and TriStar Pictures partnered with the Kendrick brothers to release the film. Do You Believe? 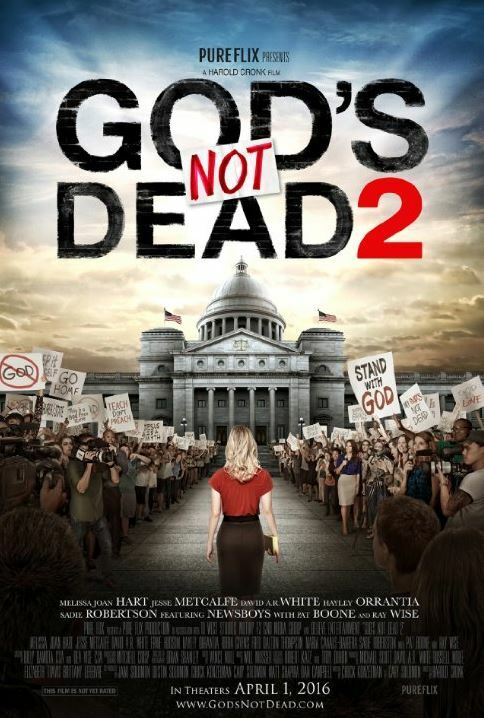 is a 2015 Christian ensemble drama film directed by Jonathan M. Gunn and stars an ensemble cast featuring Ted McGinley, Mira Sorvino, Andrea Logan White, Lee Majors, Alexa PenaVega, Sean Astin, Madison Pettis, Cybill Shepherd, and Brian Bosworth. It was released on March 20, 2015. What is lost…can be found. 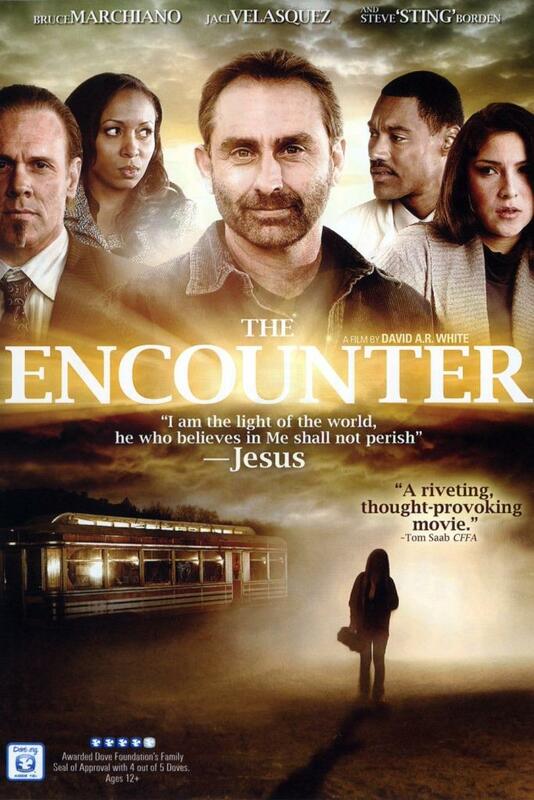 The follow-up to the Pure Flix hit movie, “The Encounter” increases the intensity and action as a group of damaged individuals face the life-changing decision of accepting Christ – invited by a man claiming to be Jesus Christ himself. A retiring drug smuggler, his drug-addicted wife and his ruthless bodyguard find themselves trapped by a suspended DEA Special Agent at a Thai resort owned by a troubled former Wall Street investment banker and his wife, who mourn the loss of their only son in a devastating tsunami. It is an explosive mix of personalities. Violence looms, but a mysterious guest, claiming to be Jesus Christ, arrives to offer each of them one final chance at redemption in this inspiring, thought-provoking thriller. This creative and captivating documentary uses interviews with ordinary people who relate their stories about spiritual warfare. Leading theologians provide insight and context. 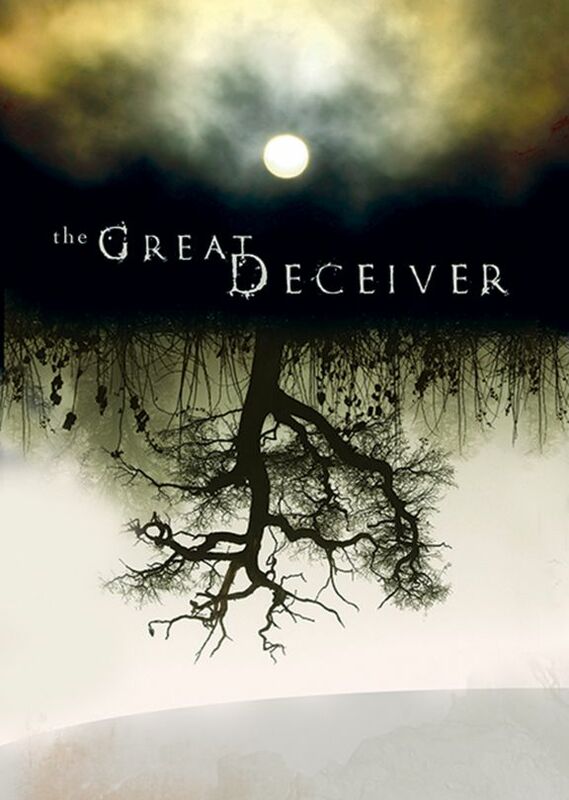 The Great Deceiver reveals the devil’s tactics and shows how God ultimately has the victory. Pastor and host Michael Newman takes a look at scripture’s most vile character: Satan. Using interviews and expert commentary, this creative and captivating program provides solid Biblical teaching on the reality of Satan and teaches how believers can overcome his many deceptions. After the sudden death of her unsaved father, Jenny, a Christ-follower, is determined to save a childhood friend dying from cancer but God has other plans. In the Attic of Our Hearts, Lies a Box Waiting to Be Opened. 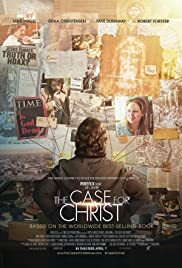 When high school student Jake Casper finds a small wooden box in the attic of his grandpa’s antique store, his life is forever changed, especially when he discovers a secret compartment that appears to contain a nail used during Christ’s crucifixion. Now, the more Jake learns of the power within the box and its purpose, the more obstacles he must overcome to get the box to a stranger before it’s too late. The stakes are much higher than life or death in The Tribunal, a courtroom drama set in a Catholic Marriage Tribunal. On the surface, it appears that the struggle between Tony and Joe, two best friends who both love Emily, hinges on Joe obtaining an annulment of his first marriage, so Emily, a devout Catholic, can marry him. onathan Wright (Bradley Snedeker) has it all, a prestigious job, incredibly beautiful wife Amy (Jessica Morris), gorgeous 7-year-old daughter Megan (Isabella Cuda) and countless friends. Having recently been appointed to Sr. Vice President of business relations for a well-established investment banking firm, Jonathan believes he is on the fast-track to reaching the apex of his career. He and his team have been assigned a new client’s billion dollar account. From Warner Bros. Pictures and Alcon Entertainment, HILLSONG – LET HOPE RISE follows the remarkable journey of Hillsong UNITED from youth worship band to worldwide sensation.